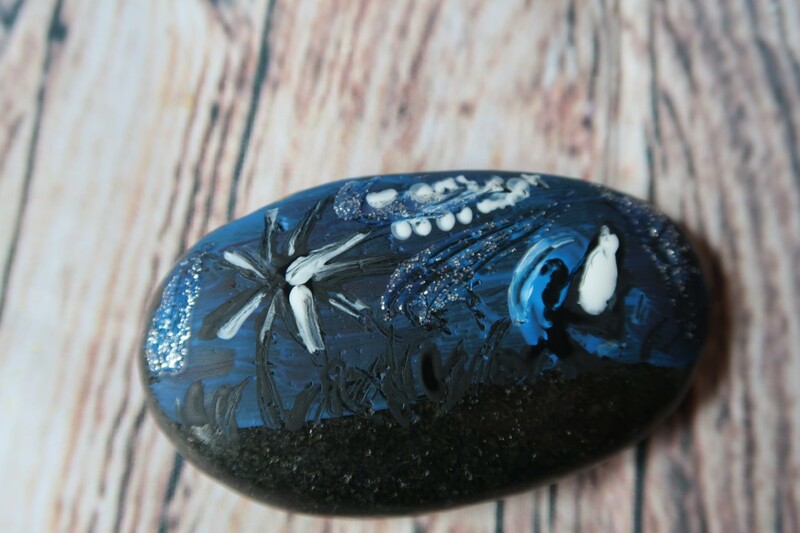 Painting stones are all the rage just now and there are loads of groups and resources about where to place your stone and find others. 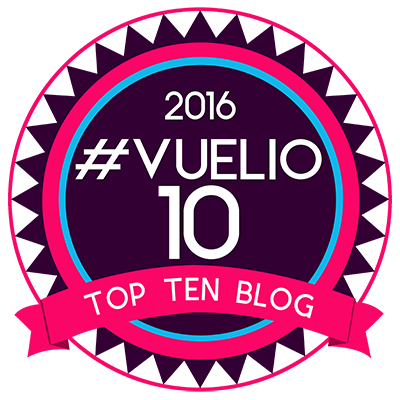 It’s all very exciting and definitely something we will be doing over the summer. 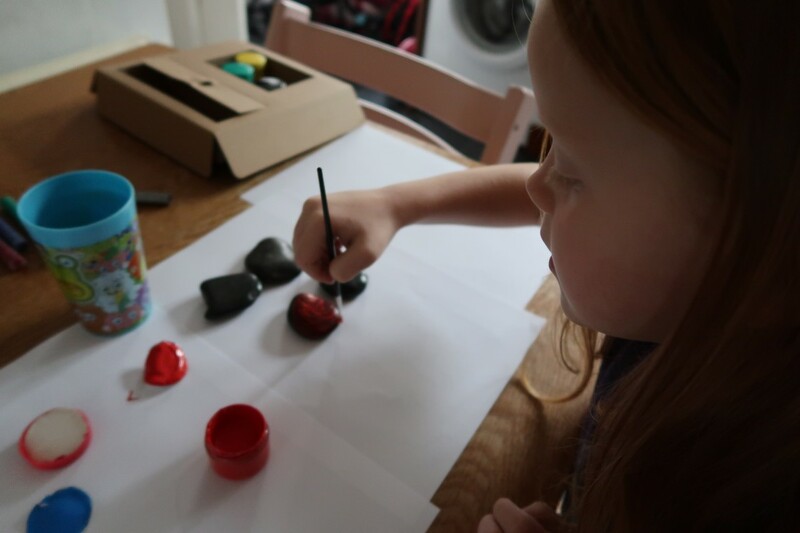 It’s a great craft for all ages to give a go, they don’t have to be perfect. 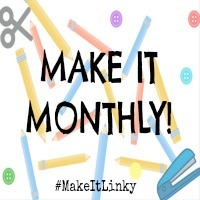 Have a think about what you want to paint and get started. As you can see, anyone can do this. It is a little tricker than we thought to paint and colour. 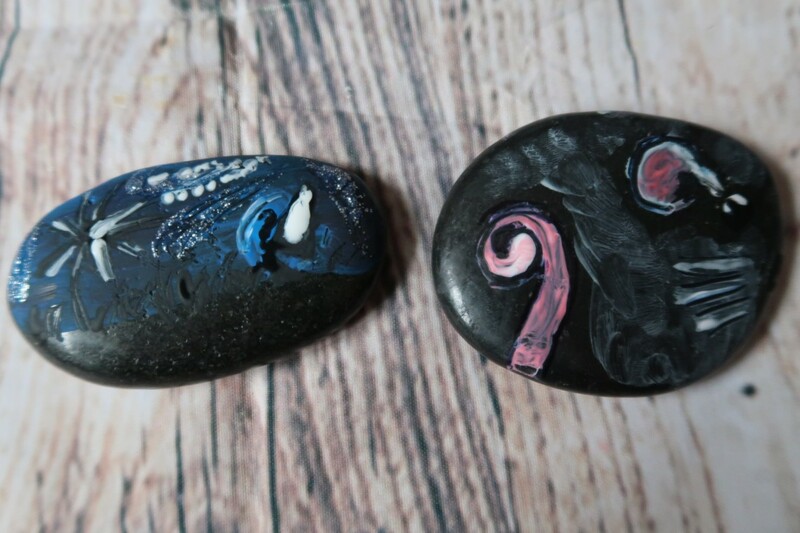 I thought sharpies would work, but our stones were too dark. The paint needs to be quick thick so it needs to be in layers. 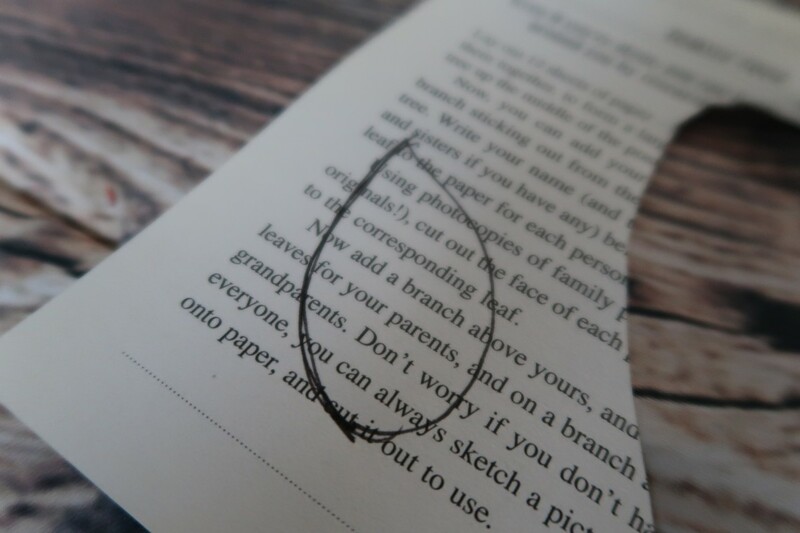 For intricate pieces of work, we found using the other side of the brush helped for dots, etc. 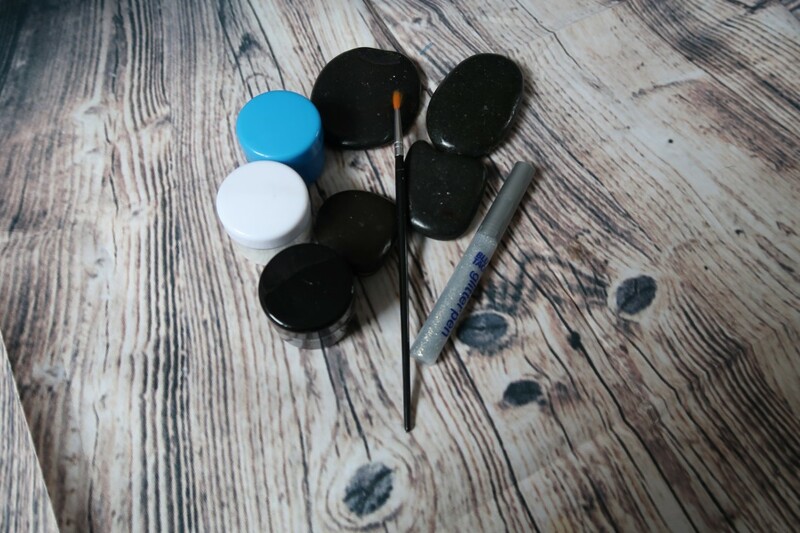 The Bostik Glitter pens were great to add effects to the stones. If you can see in this, it’s supposed to be a fairy on the right-hand side against the moonlight with dandelion clocks blowing in the wind. Can you see it? 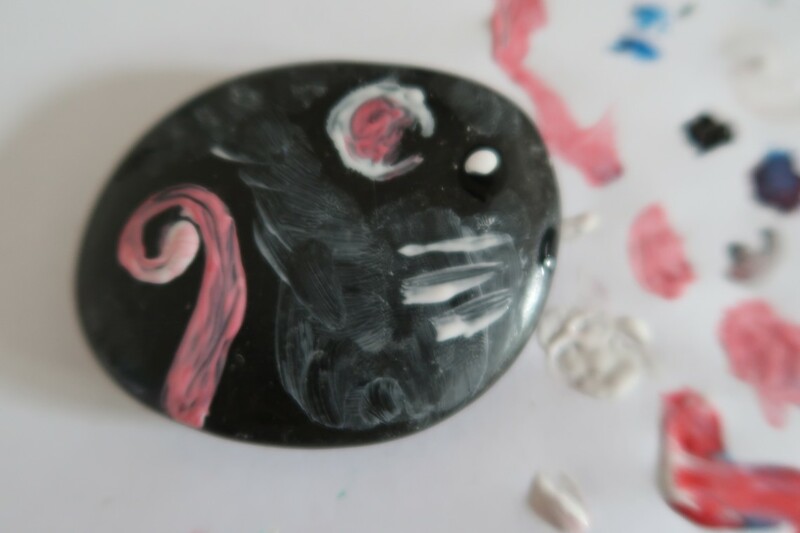 I think I was a tad ambitious when painting our first stone. The next we did a joint effort and painted a mouse. Isn’t it cute? This was much more simple. 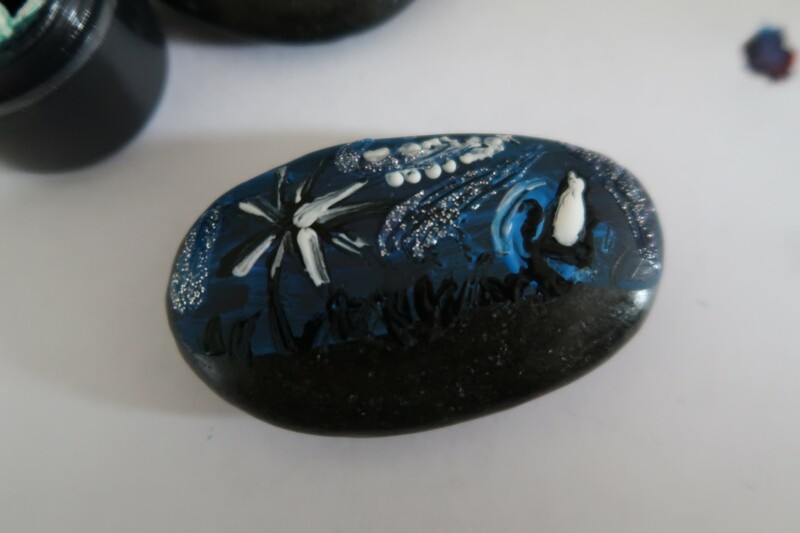 There are so many options you can do with stones. Next time we are going to get lighter stones and I have heard of these pens you can use. I will try to feature more in up and coming posts. What do you think of our first attempt? What would you paint? 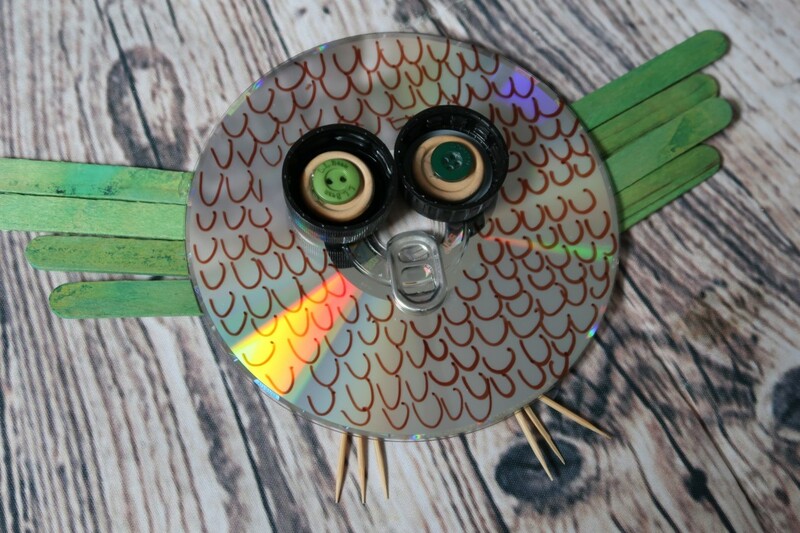 Start by glueing the owl eye onto the cd. 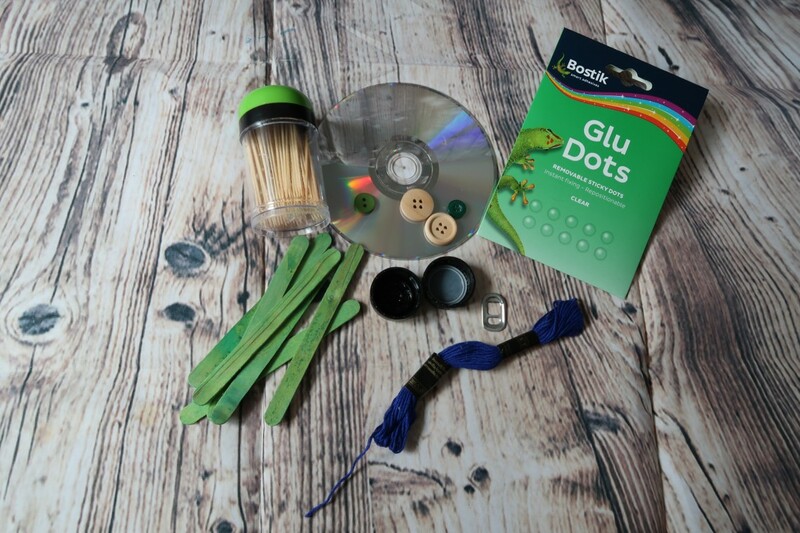 We used Bostik Glu Dots to stick them on. 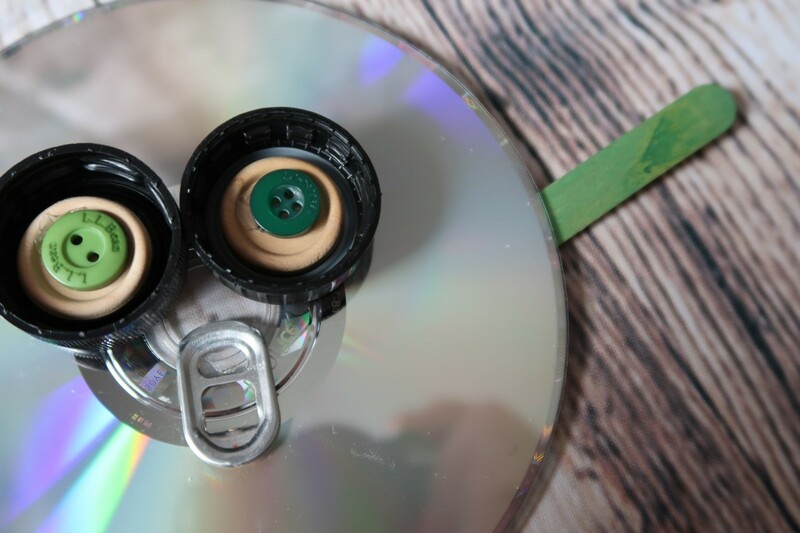 Add on another eye and we used a can ring pull for the owl’s nose, but it can be anything you feel would work. 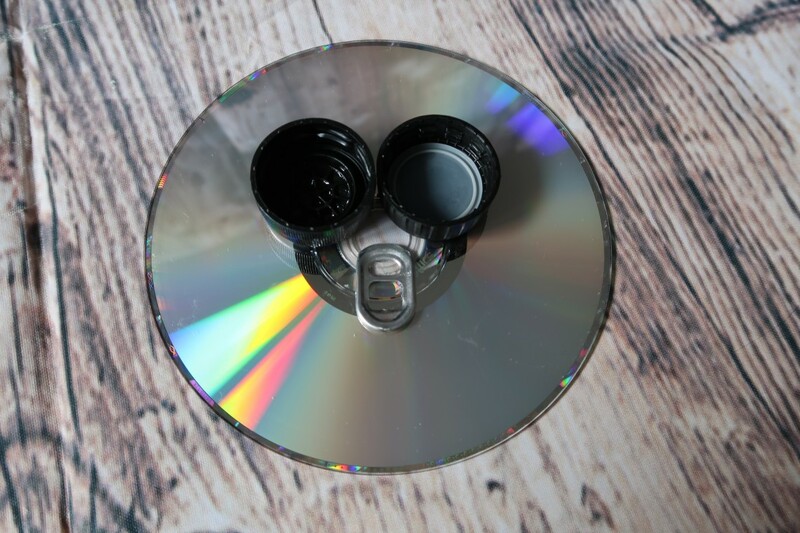 We then added some buttons to the bottle lids for the iris, using Bostik Glu Dots. 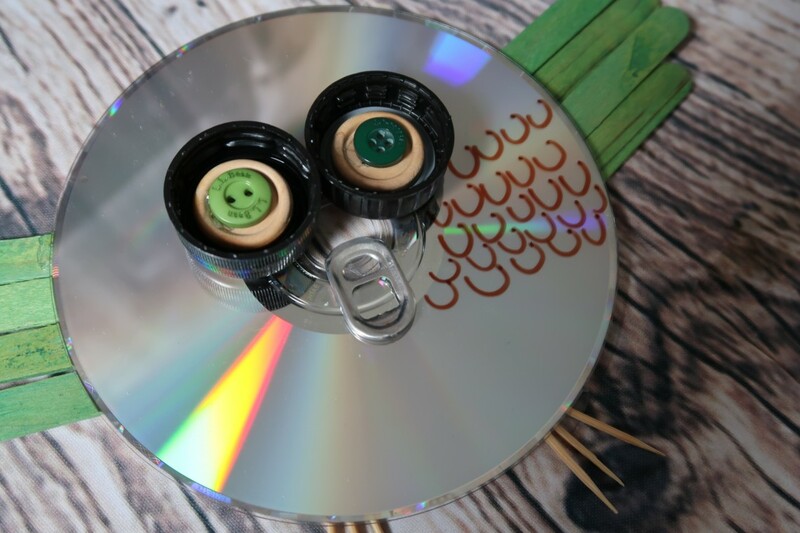 We added a second button for the owl’s pupils. We felt it gave him a nice look. 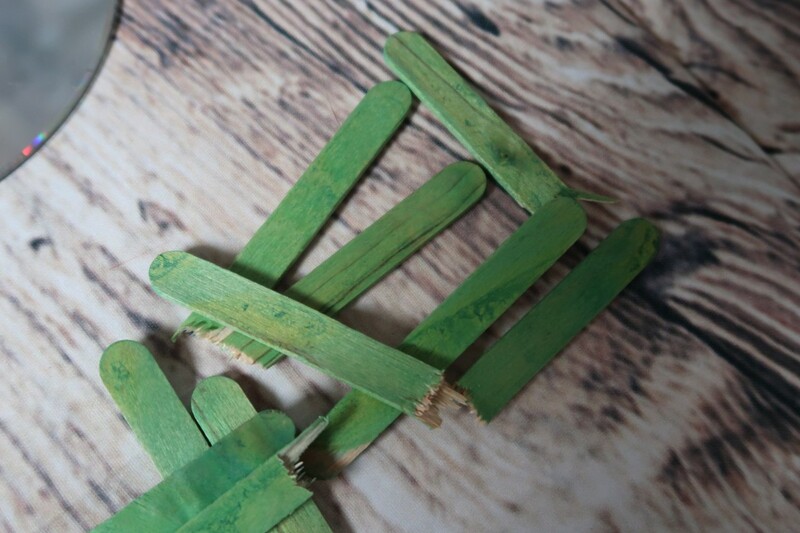 Next, we broke up some lolly-sticks. It is good to make them different sizes. This is for the owl’s wings. 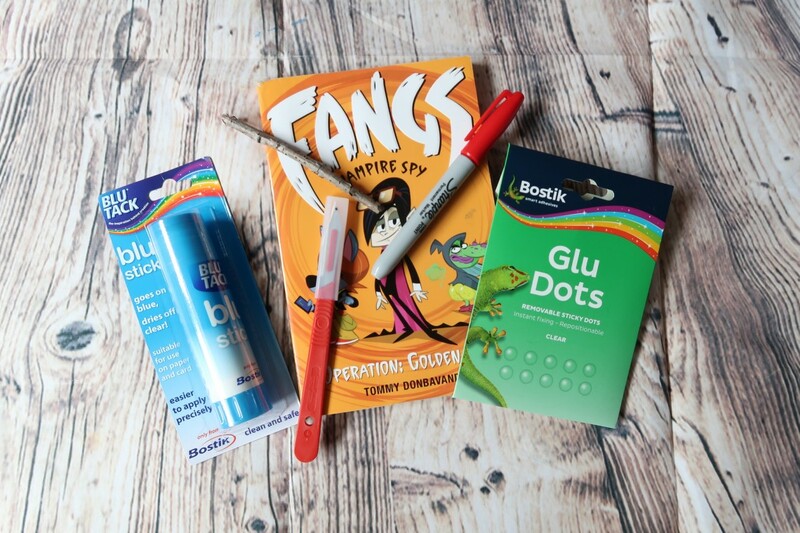 Again, using Bostik Glu Dots, add on the wings. Place a lolly-stick half at a time. Keep adding the wings until the look like above. 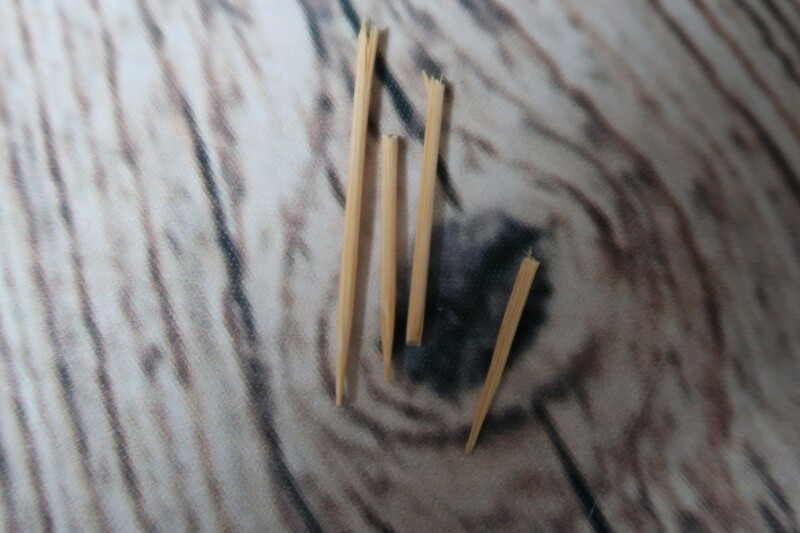 Break up some cocktail sticks for the feet. 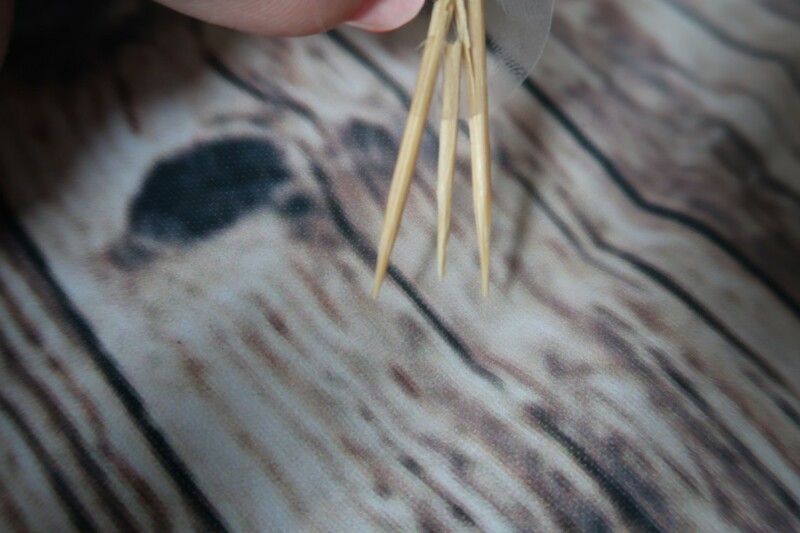 Stick three of the sticks together to form a claw like image using a Bostik Glu Disc. Add two sets of feet to your owl. 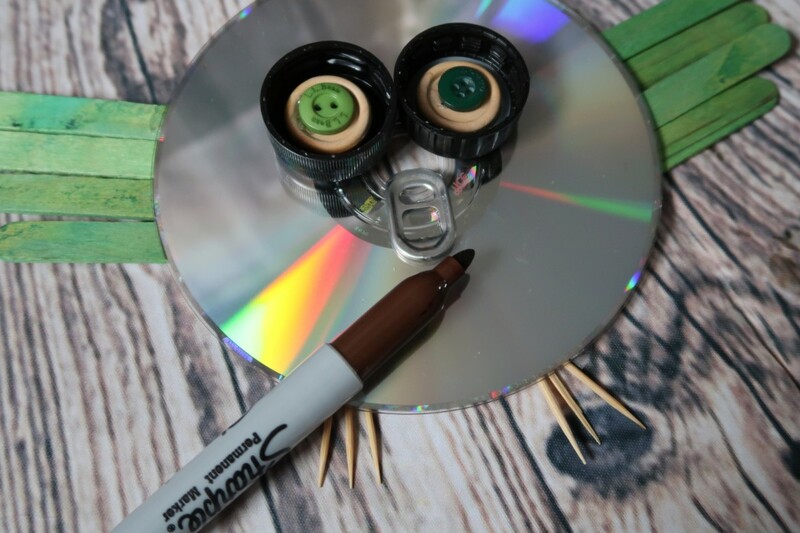 Using a pen, like a Sharpie, add detail to your owl. We added feathers using the pen. Add as much detail as you’d like to the owl. 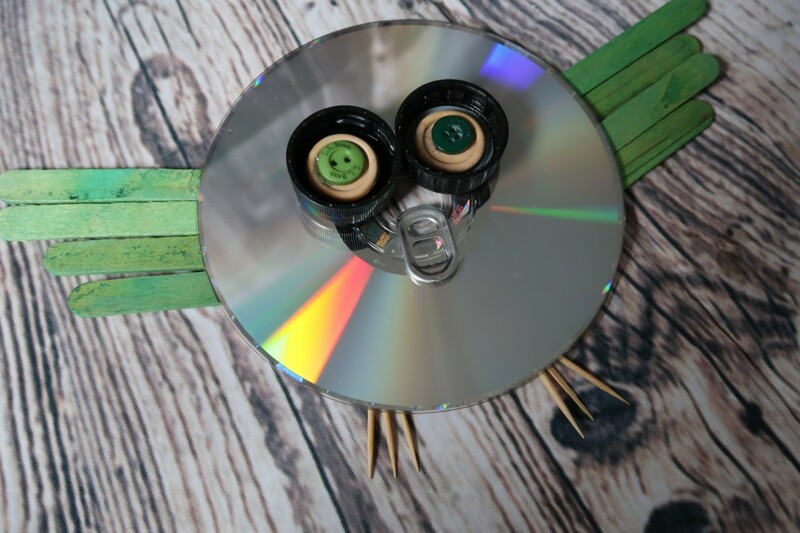 Now you want to add something to hand your owl up with. 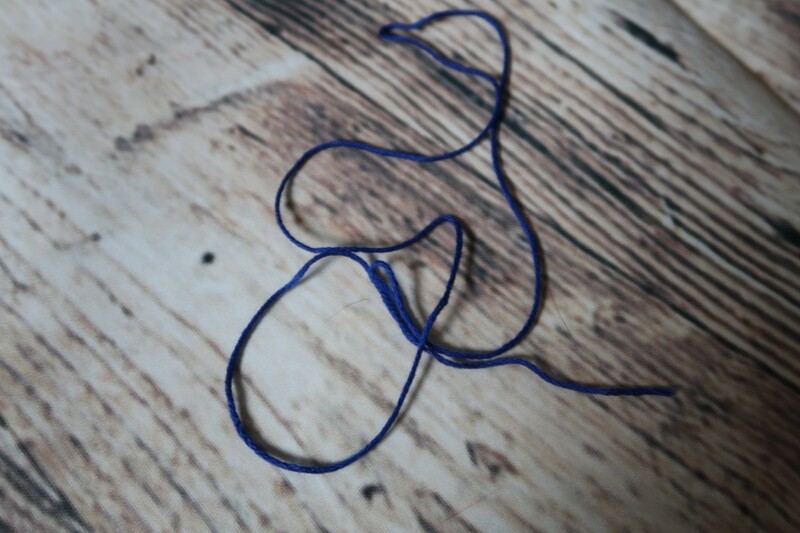 I used some embroidery thread, but ribbon or string would work. 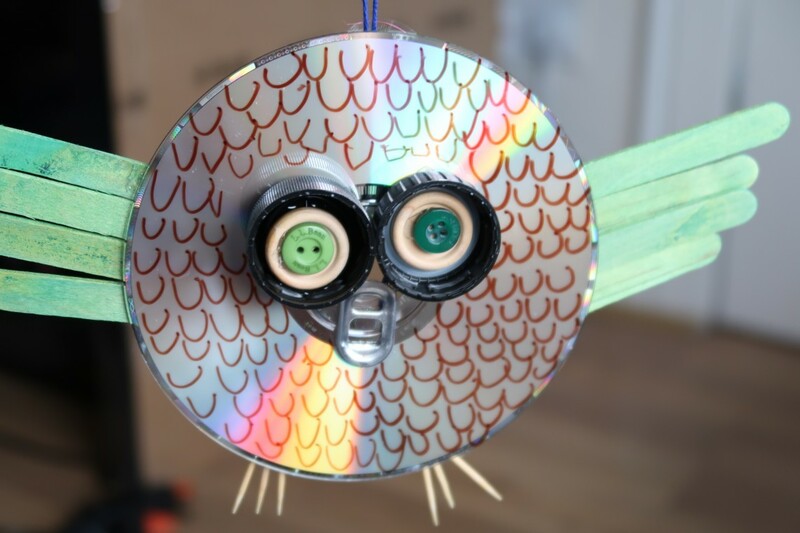 We used Bostik Glu Discs to stick it to the owl. Here you have our Garden Owl. He looks great when the sunlight hits him. We are going to make some more for the garden. 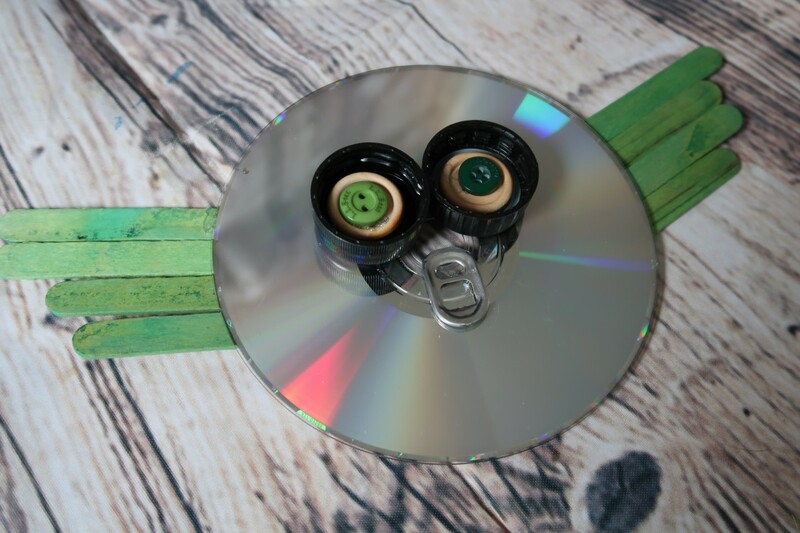 A simple, easy and great craft to use up some recycled materials. This craft is one that needs to really be done by older kids or a lot of adult supervision due to the knife. 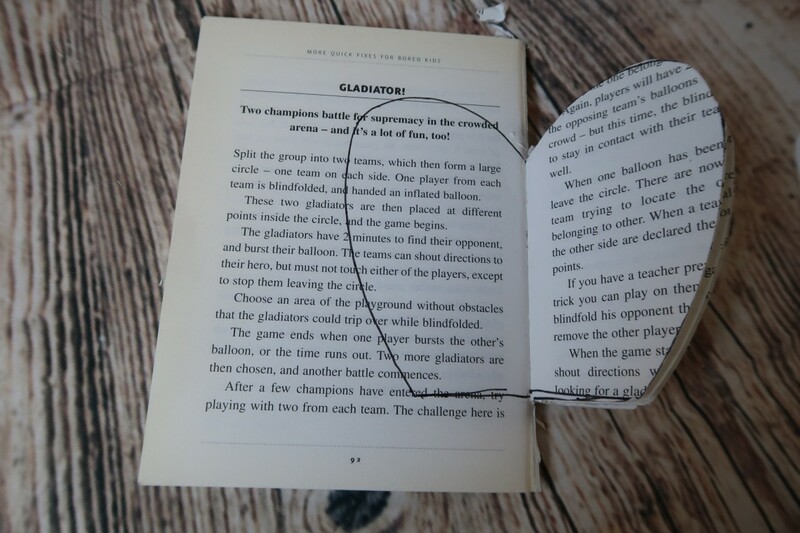 It has a protector on it and the kids can join in parts of it. But, it looks so good, I had to fit it in. 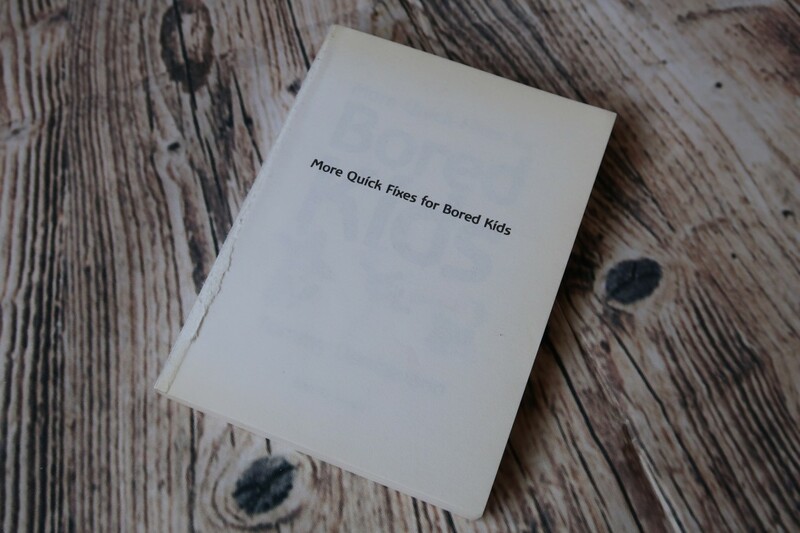 The first thing you want to do is take your cover off your book. 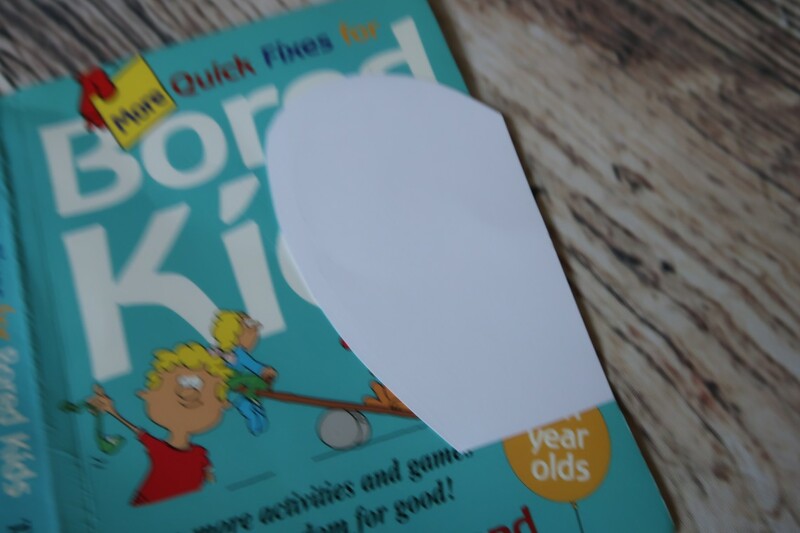 Cut out a half apple template from the book cover. This is going to be your template for cutting. 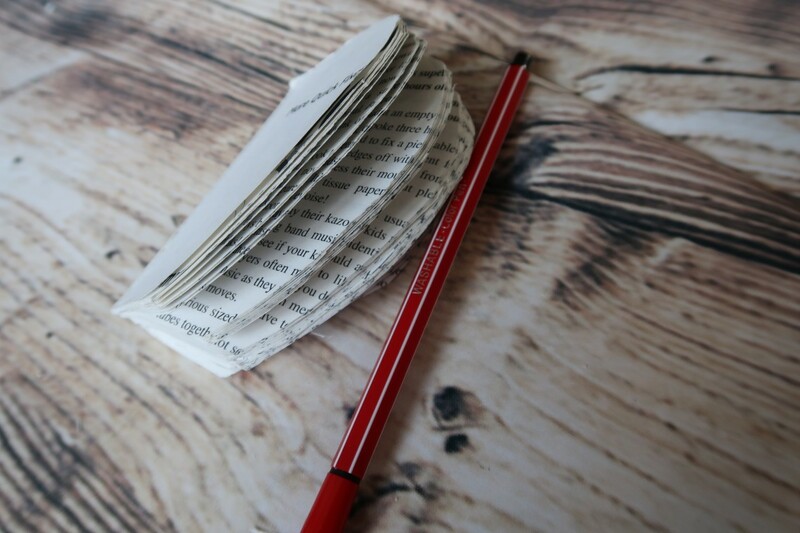 Start at the beginning of the book and place your template with the straight line into the book’s spine. Draw around the template so it looks like above. 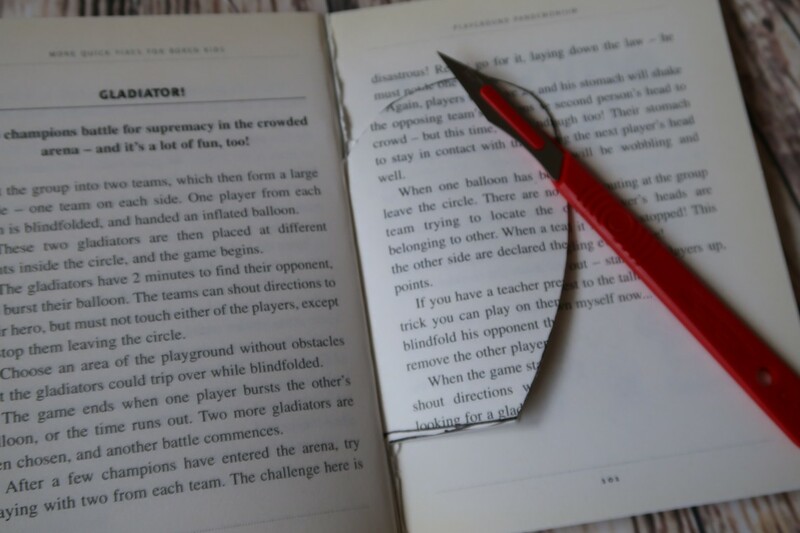 Using the paper knife, cut down into the book and remove the bits of book you no longer need. It will start to look like above. 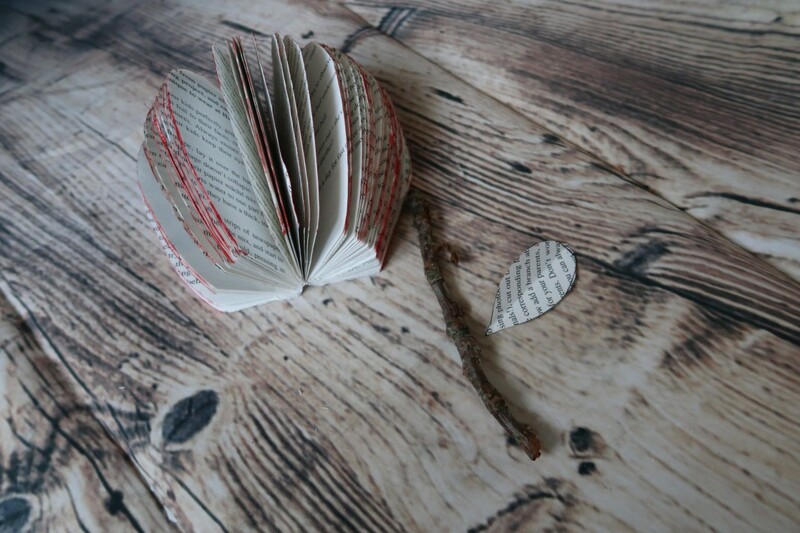 Take your time and keep cutting through the pages of the book. 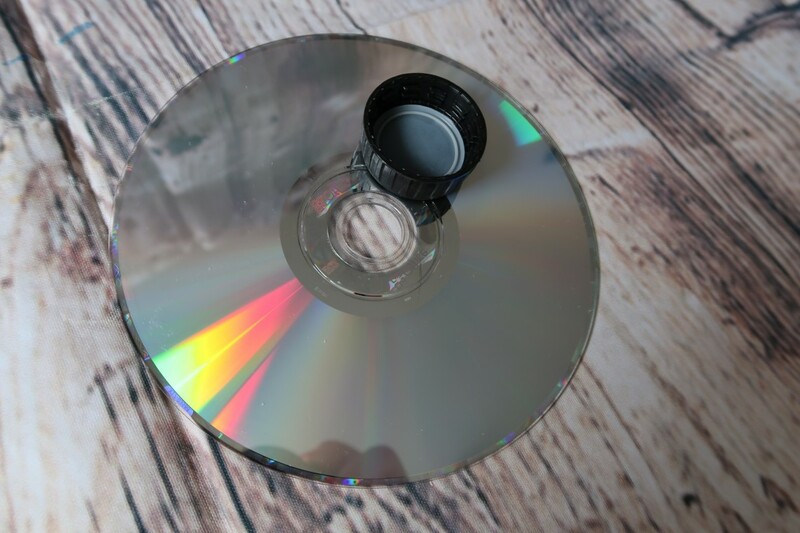 Be careful not to cut through the spine of the part you need. 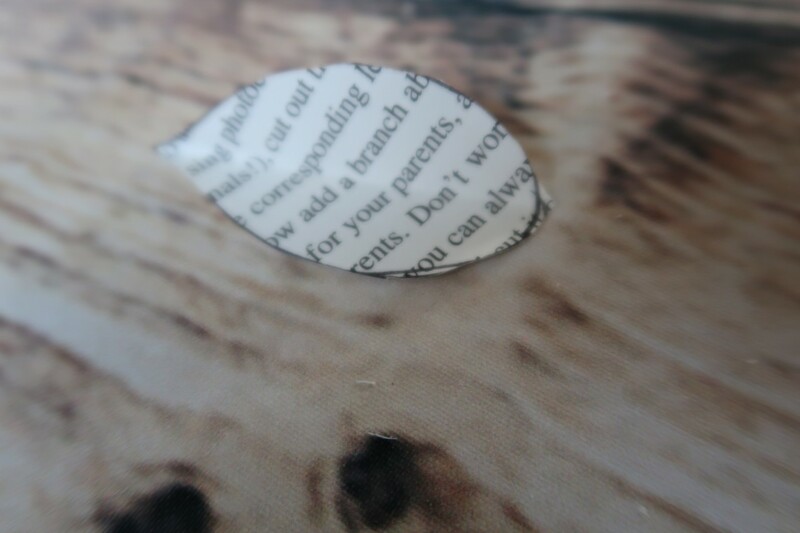 Keep going until all the cutting of the pages is done. You should be left with a half apple shape. 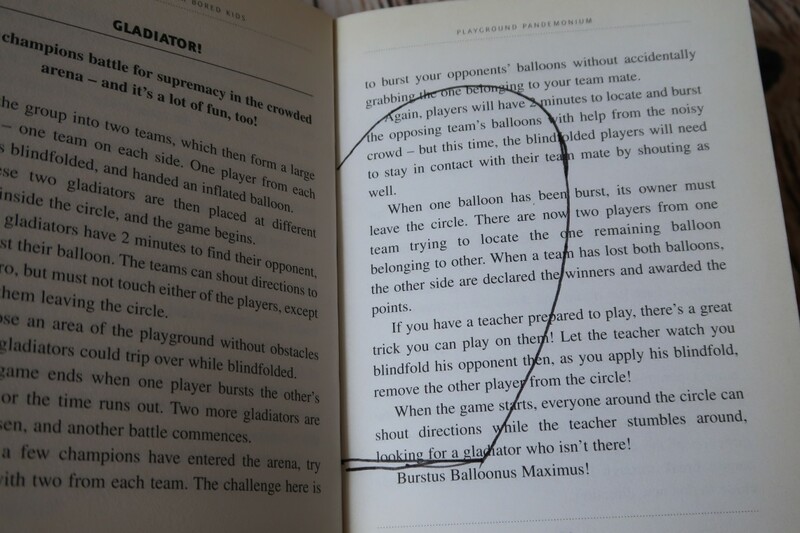 Using a red pen, colour the ends of the pages red. 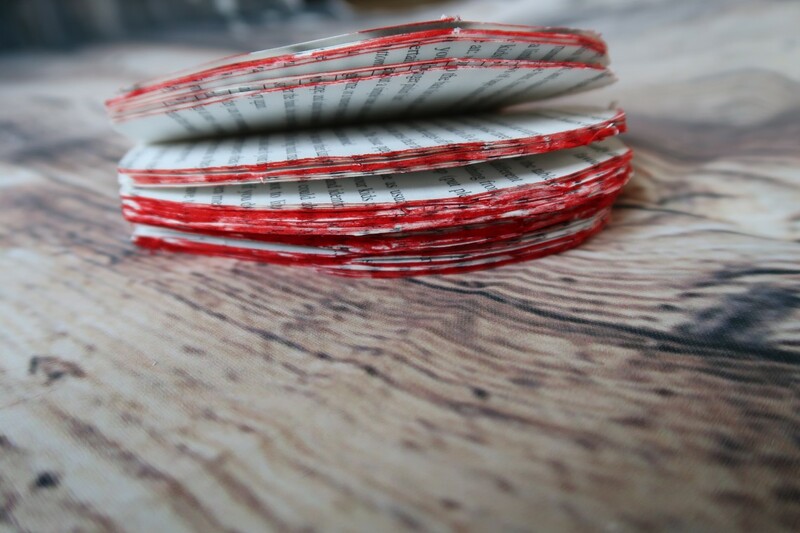 Not the spine, but the outer edges. It doesn’t have to be perfect, just so you get a hint of colour. From one of the spare pages, draw a leaf. 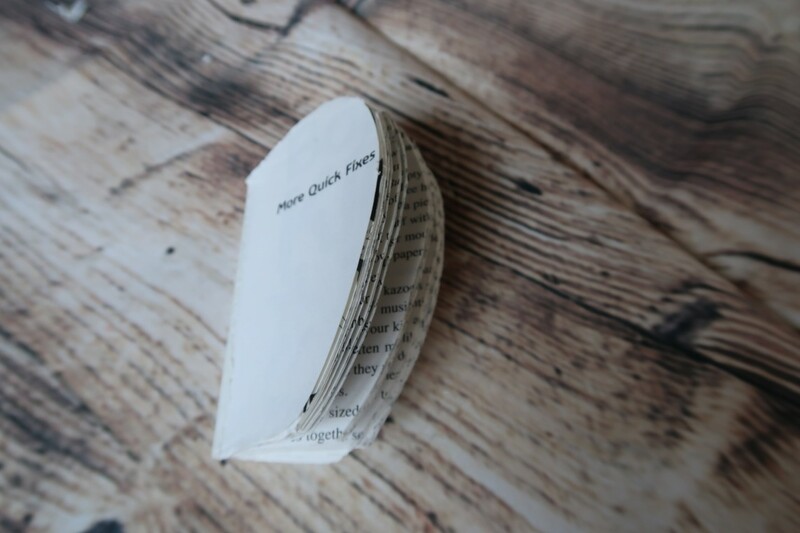 Cut out the leaf and fold it gently in half so it is a little more leaf shaped. Fan out the apple book so it is one half. Get your stick and leaf ready to stick on. 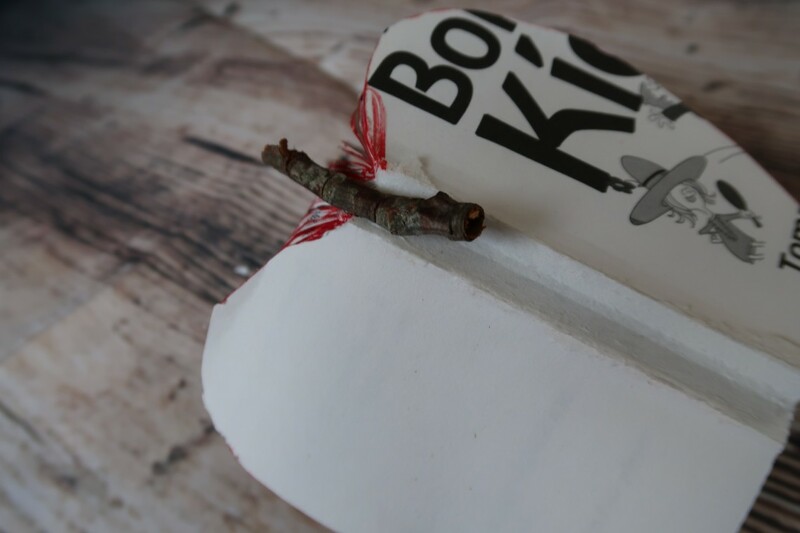 Glue the stick onto the spine of the book. It will have a little bit sticking up the top. Stick the leaf onto the top of the apple. 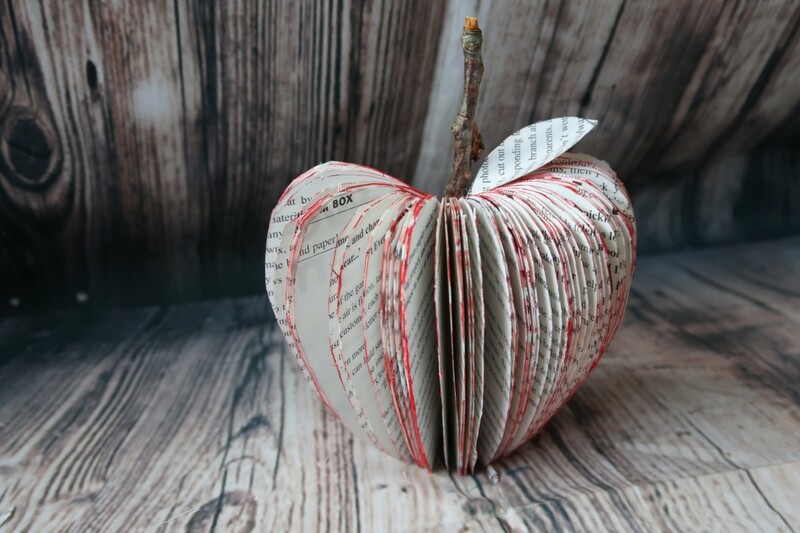 Here you have one of the my favourite crafts, the book apple. 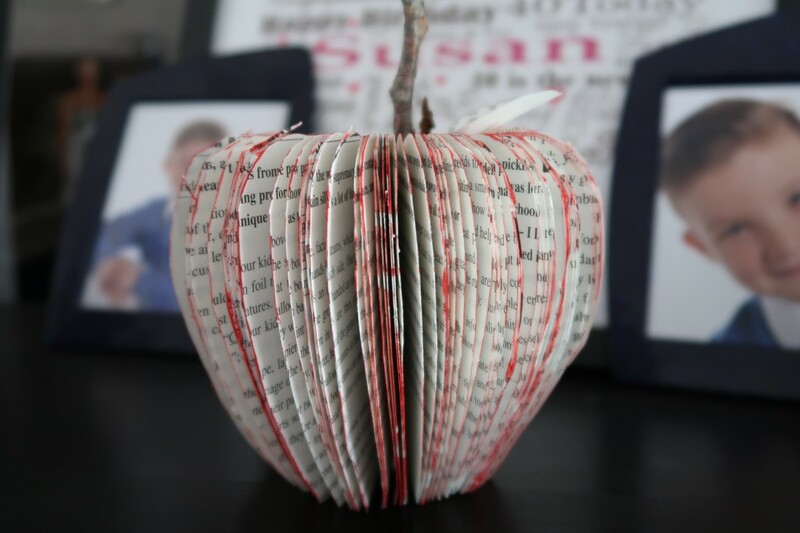 This would make a great teacher gift and in fact the kids made one of these for each of their teachers. I’d love to know if you give it a go. 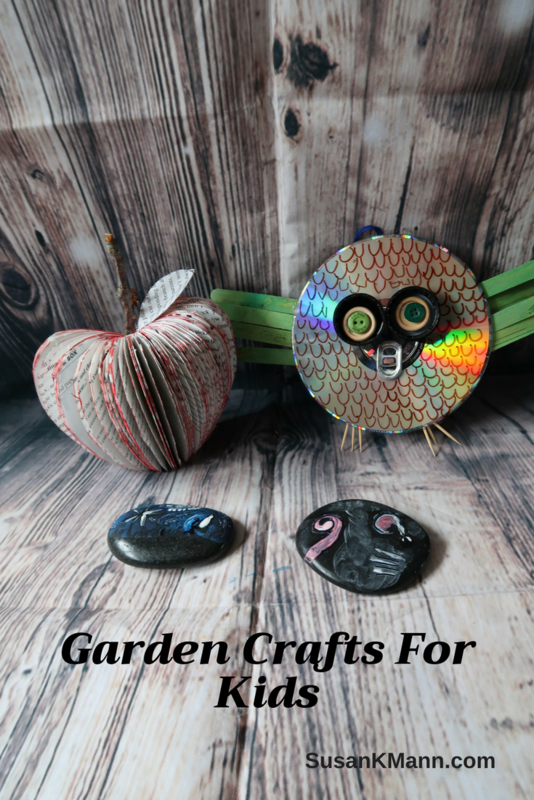 There are our garden crafts. 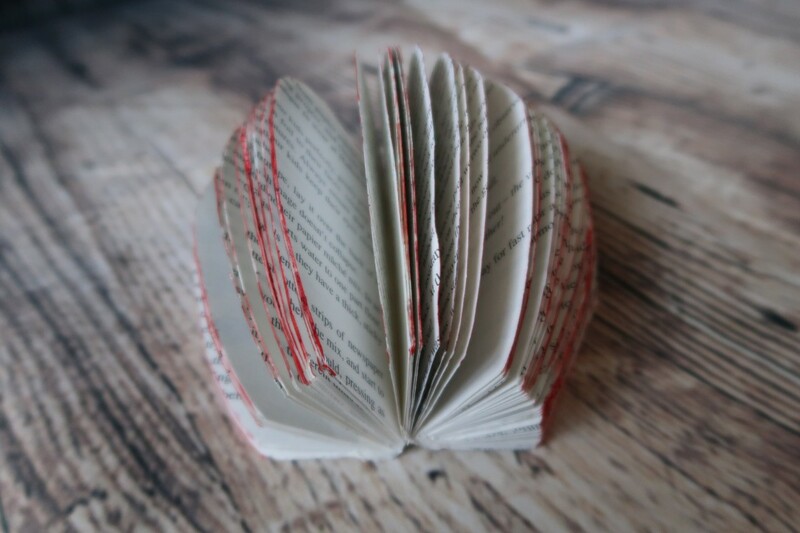 I do love book crafts, so I might do more of these. Would you like to see more? We’d love to know if you make any of them. Do send me some pictures. 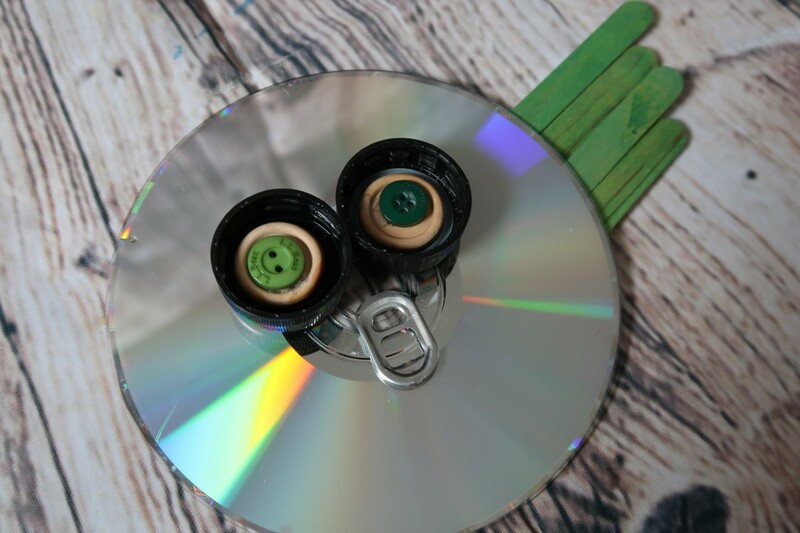 What wonderful ideas, I will definitely be making these with the children over the summer holidays. I love the garden owls. 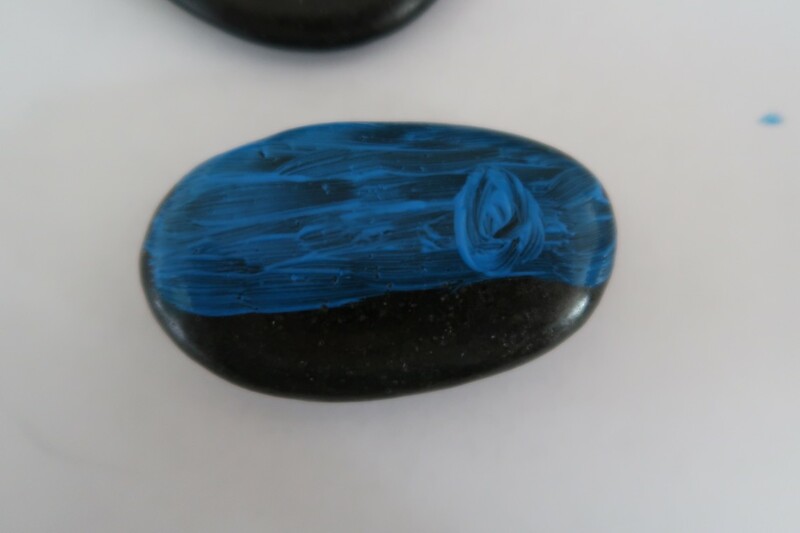 I think my daughter would enjoy painting the stones. 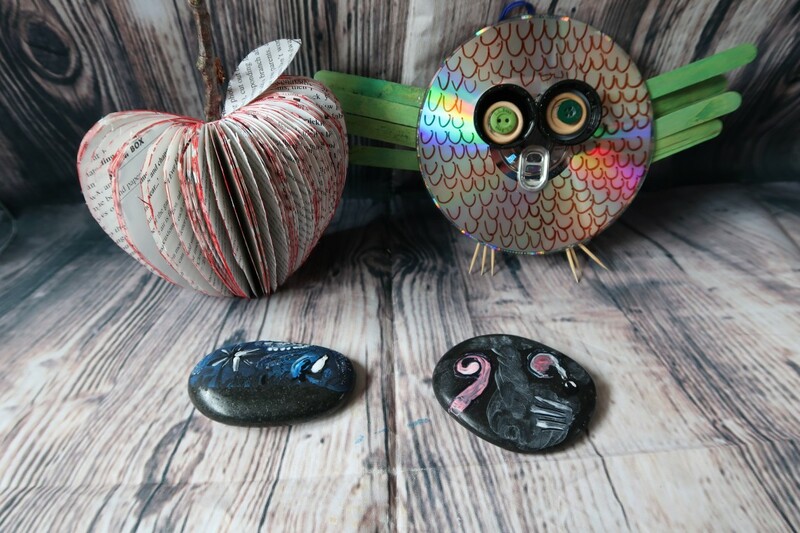 Those stones are really prettily painted and I like the idea of the apple book too. 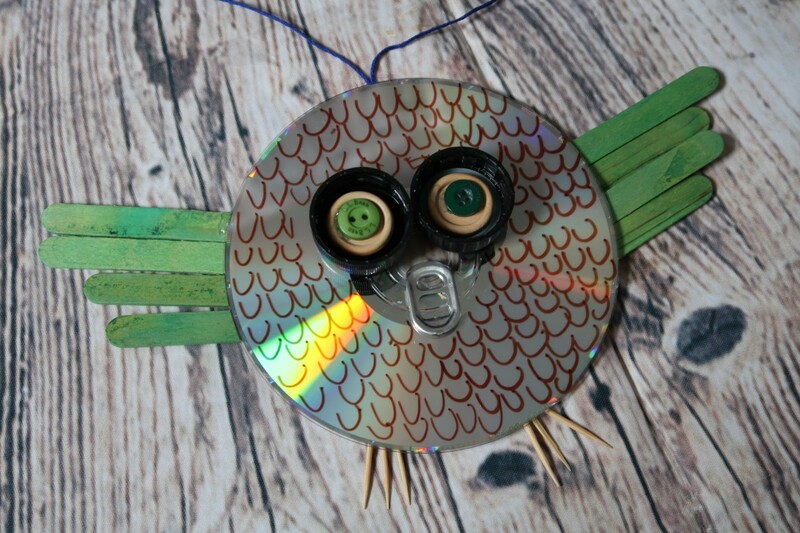 these all look great ideas, the owl would make a great garden hanging for a tree.